Thank you for being the only slice of happiness in these past few hellish days of thesis writing. Your soft, drapey silk and BFL wool yarn is soothing to the touch and beautiful to the eye. The deep wine red color reminds me that the holiday season is fast approaching, but in a warm&fuzzy good way because it means that at some point in the near future, I will not be writing this thesis and I will also have a pretty hat. Thank you for that hope! 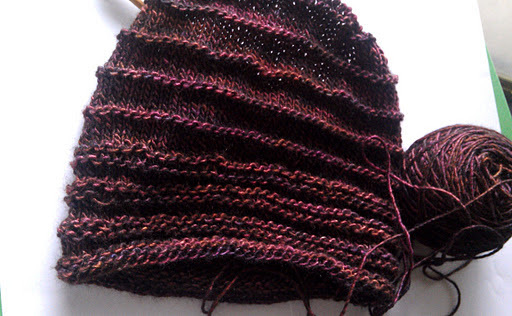 This entry was posted in silliness, yarnaholic by shoelaceswitcher. Bookmark the permalink.